TECHART will current the world premiere of the Concept One individualization study at the forthcoming 80th Motor-Show in Geneva. 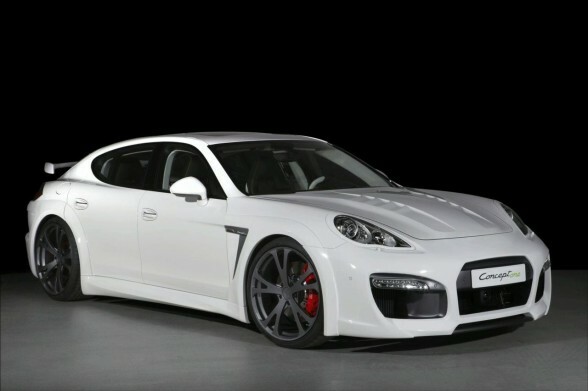 This is their second individualization level for the Porsche Panamera model range, which is obviously different from the first program. 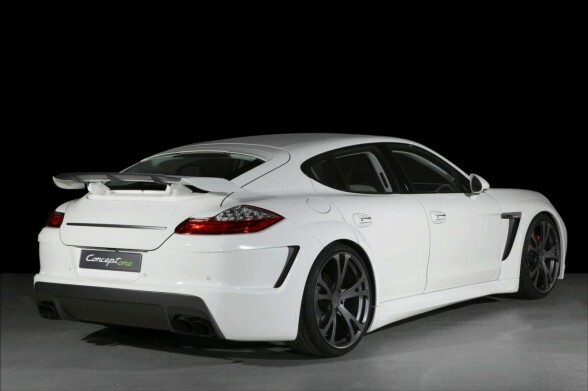 Generally, TECHART overall design concept, including for Porsche Panamera, covers both the external and interior. 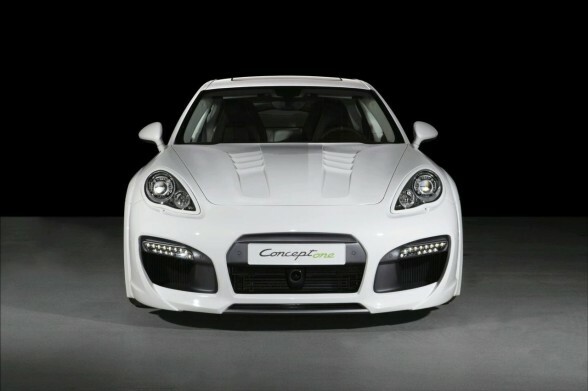 Compared to the serial model, the Panamera exterior is marked with wider front and rear axis. It is thus detailed with the Carrara white external package, front apron with integrated air inlets, an improved air flow of the charge air intercoolers, an enhanced brake cooling, bonnet with inwrought air outlets, powerful fenders and side skirts, double flow black tail pipe of the TECHART stainless steel sports exhaust system, and 22-inch TECHART Formula III forged light alloy wheels with Continental Sport Contact 3 tires. Under the bonnet, it is the TECHART engine optic package with carbon fiber engine covering, TECHART logotype and flash red coating. In the internal, the Panamera is set with the TECHART full leather finish in the cocoa and white color mixture, leather applications on trim parts in cerbero, ornamental stitching in phosphor green, Alcantara roof liner, and white face with phosphor green digits. And for the first time in the Concept One Study, TECHART presents the 3-spoke PDK sports steering wheel with shift paddles. 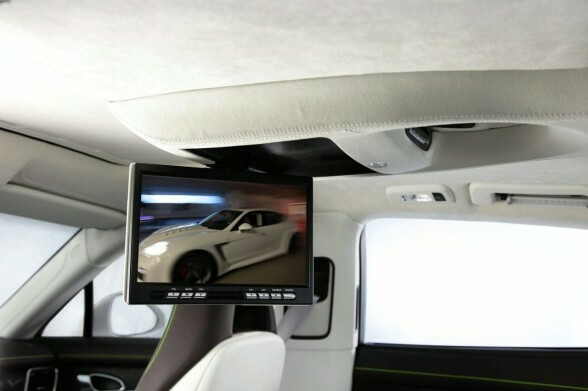 TECHART Concept One study for the Porsche Panamera also shows some exclusive extras of a 10.2-inch ceiling monitor with included DVD player and a rear center console and two folding tables built into the front seats.